An annual event as loved as the contest itself. Broadsheet commenter Fluffy Biscuits takes his annual look at the world’s biggest song contest. Before I tackle the songs, politics as always is at the centre of Eurovision. Russia, with its presence on Ukrainian soil (‘Crimea River’ anyone?) kicked things into gear by sending wheelchair bound singer Yulia Samoilova with what has become their usual PR tactic of sending a sickly sweet ballad, ‘Flame Is Burning‘, about love, respect and diversity all the while gay men are executed on Putin’s door step in Chechnya. 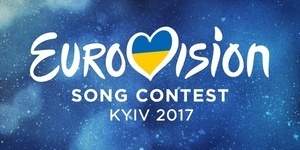 This ruffled the feathers of Ukraine, this year’s hosts, who, after winning the rights to host the contest (with the “Stalin murdered my whole family by deporting them to gulags” R&B ethnic inspired track “1944”), kicked up and told Russia that their singer was not coming anywhere near Eurovision in Kiev as she had allegedly performed in Crimea, a violation of Ukrainian law. A compromise was reached by the organisers, the EBU to allow her to perform from Moscow by satellite but this was about as welcome as Michael Barrymore at a pool party. In the end Russia pulled out (not a fan of the withdrawal method myself) and the prosecco and poppers will duly flow in Kiev. Song wise Italy (above) is the favourite to win this year. On the surface it’s a novelty song but drill down into the lyrics and you have a very clever rock song meditating on the West’s obsession with materialism and Oriental-inspired faux philosophy all wrapped up in social commentary about “The Naked Ape” based on the book by Desmond Morris. The nearest contenders for the title are Portugal who voted to send Salvador Sobral with a tune inspired by 1950’s lounge music “Amar Pelos Dois”. a song that stands out as its beauty is its simplicity in the context of glitz and glamour of Eurovision and even just chart music in general (when you have 16 Ed Sheeran songs in the Top 20 the music buying public are not really in a position to slate Eurovision ;) ) . Belgium comes next with its electro pop inspired “City Lights” although her stage presence means she is more wooden than a set of table and chairs from Ikea. Armenia has gone with an Oriental inspired pop track. Making up the other two favourites are Bulgaria sending singer Kristian Kostov with the song “Beautiful Mess and at 17 he appears older and next to them will be Sweden whose song “I Can’t Go On” sees treadmills and enough hair gel to resurface the entire M50 over take the stage. Ireland has lost interest in Eurovision and, by letting Louis Walsh dictate who he wants to sing Ireland’s song and not reverting back to the process of a national selection, we are again victims of second rate bland writing (a Norwegian jury member was replaced after publicly stating this about our song Dying To Try on the Norwegian preview show!). 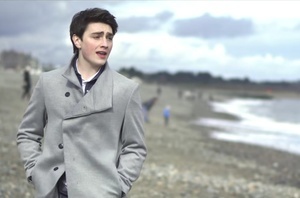 A number of comments have referred to the falsetto style voice of singer Brendan Murray as sounding like a “chipmunk being smashed with a hammer “and other unflattering terms. Ireland should bring back the Castlebar Song Contest. The UK, meanwhile, has pushed the boat out this year and sent Lucie Jones, another X factor winner with “Never Give Up on You” penned by former winner Emille De Forest. Betting wise, my advice is to back Italy to win and get Israel [with ‘I Feel Alive‘] at 10/15 depending on your bookie. Eurovision represents a mixture of the deliriously funny and the beautiful aspects of European culture. It’s a crossroads of East and West Europe, the politics and the society that it reflects. Enjoy it whatever you opinion!! Posted in Misc and tagged Eurovision 2017 at 5:22 pm on May 9, 2017 by Broadsheet. Great to have you back Fluffballs! Anyhow good coverage; Billy Barry meets realpolitik. He’s been missing longer than Katie in Fair City. I bet those lovely ladies only adore you. Adore is a bit strong. Louis Walsh’s applecheeked, asthmatic castrato won’t get out of the heats. Just because The Bookies say don’t make it so. Lucifer has been known to send young ones and young lads on Ryan air flights to European destinations with a few grand to cast votes before. It hasn’t worked yet but this could be the year. Im glad to be back ! Fluffy that’s a great break down of the ole Eurovision. I always loved the political voting. For years UK always gave us an obligatory few points while we gave them ‘nil pois’. I refuse to back Israel on anything. Are the great euro hope Australia in it this year?. I think it’s great to see Ireland flying the Eurovision flag for Palestine TBH. Ireland song for Europe ‘Dying To Try’. “Diggilou Diggiley make Louis Walsh go away so we can pick a song that we all chose. Meant to say “pick a song that we ALL choose”. Have to get the rhyming right. Now that’s what I call Eurovision. Tell us more Frilly. You’re so tight with the info. Someone would be flying without wings. Oh no I know to much pop culture. Can you give up this sniping at Johnny, it’s uncalled for. You made a withering remark to Tony Groves too last week. They’re both nothing but polite to you. Thanks Zena Warrior Princess for sticking up for me. I was very amused with Frilly’s post. I still have my ‘Relax’ tshirt that I wear at protests. If I had known my Eurovision trivia I should have known that Kiev Connolly & The Missing Passengers had the worse Irish entry EVER! (I didn’t mention Louis at all, so don’t be thinking anything untoward). I must have erased 1989 from my mind. Thanks for nothing Frilly. I couldn’t look past 30 seconds. I won’t recommend anyone looks. Please let curiosity slaughter that kitty and don’t look. You can never unsee. What’s the chances of Kiev turning up in Ukraine. Interesting to that the bould Tony Donoghue would manage such shite. The cosy love in between RTE staff and Eurovision cac has a serious history. They can’t get a dacent song for the football team because of it. Ya know the one Frilly that will unite communities on the whole island. On that point I deplore the idea that GAA clubs are the epicentre of any community. What’s your position in the club Frilly? I take music seriously and the Eurovision use to be a place for serious songs with strong messages. Instead of a little peace it ended up with a lidl piece of our communities. But their pain au chocolat are lovely. *palms down his Jedward quif*. How very dare you sir. I’d prefer to think we’re on the same wavelength. Frilly, no-one owns a subject of discussion, the prayer is a current bone of contention and Johnny wrote about it. I didn’t realise his comment about the way you write, had upset you, hind sight is a great thing, as they say. * from the good stuff. As I’m new to contributing to BS I’m still trying to figure out people’s points of view. As I’m crossing words with the same heads on different threads I’m trying to form an idea where ye are coming from. Obviously I’m more transparent because I’m on the telly. I find everyone interesting and even though I might disagree I still respect everyone’s opinion. I don’t take anything personal and if I do have a go it’s to get to the bottom of an issue. ..wnd there we have it – the real reason you’ve got an axe to grind. I knew the reason you were sour was your name not being listed previously and that your pieces are monthly now as opposed to weekly. You were a wee bit off with Bertie too when he was writing for a while, just saying. I could say FU, I won’t as no call for it. Someone had to mention it or you’d keep going. I’m not attacking you. Regards. and this remains the case, despite the fact there is a thread here that houses a number of replies to me that wouldn’t have survived any other forum I (through associates ahem) have been a regular on over the last 20 years ish. And that’s saying sum’ting. They say if you stir the poopy pot you should be made lick the spoon – I’ll probably be licking it for a while lol but you didn’t deserve the nit-picking and off comments. Water off a ducks back Zena. I am worried about string shi1e though. Meanwhile in Moscow, they’re preparing the Mother of All Hacks for Saturday night! Great job Fluffster! You have been missed! Don’t stay away so long next time, love! “Crimea River” – love it! In the immortal words of Pat Rabbitte ‘put on a jersey and tog out’. Know Man i played competitively up until u 21. Always on the left wing. Maybe that’s why I don’t buy into the whole gagaga. I can take a good shoulder. Bring it!